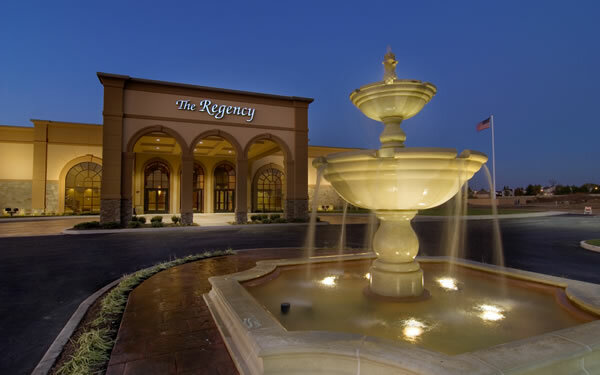 TR,i designed the new Regency Conference Center in Fairview Heights, Illinois built concurrently to the adjacent Hilton Garden Inn hotel. The 11.2 acre site is located at the northwest corner of I-64 and North Greenmount Road, on Regency Park Drive. 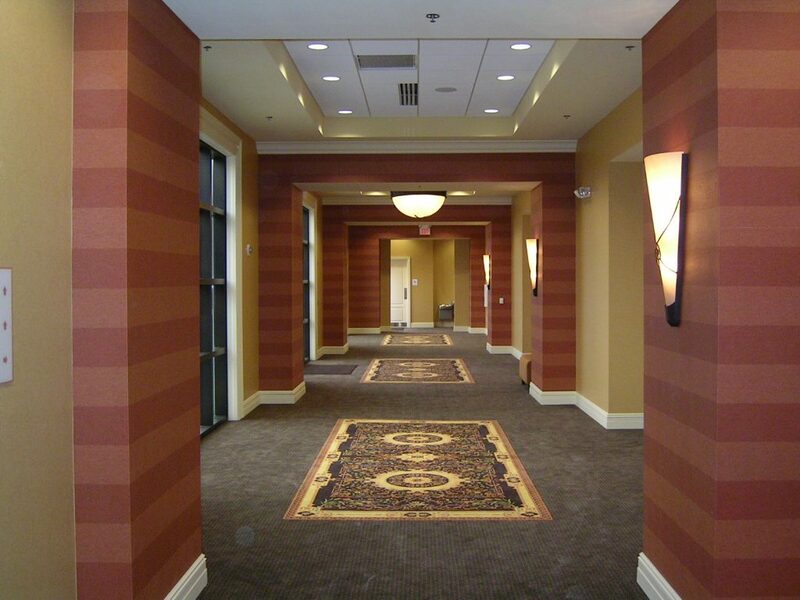 The premier conference center includes a large porte cochere and enclosed pedestrian connection to the hotel. 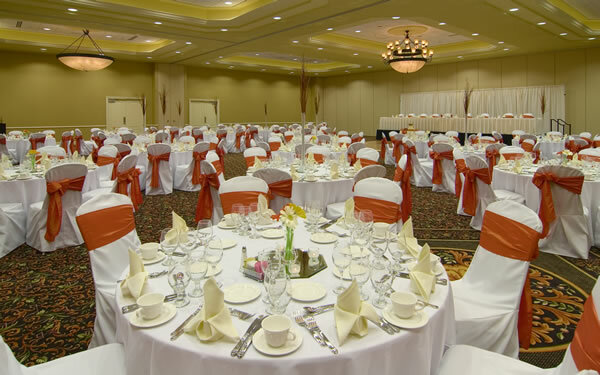 It was designed for a total capacity of approximately 850 persons when seated in a banquet style arrangement. 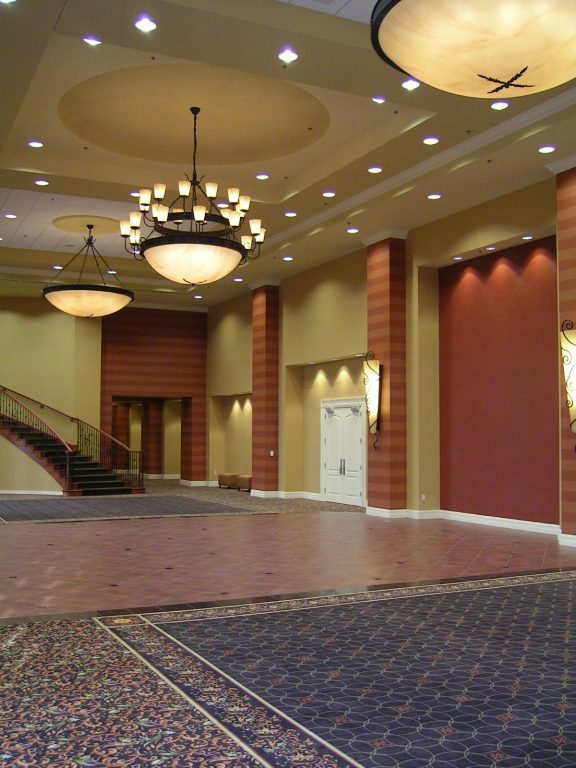 Multiple rooms configurations, separate small conferencing area, grand staircase and parlor provide the owners with a beautiful, functional space for a wide array of uses from wedding receptions to seminars and conferences. 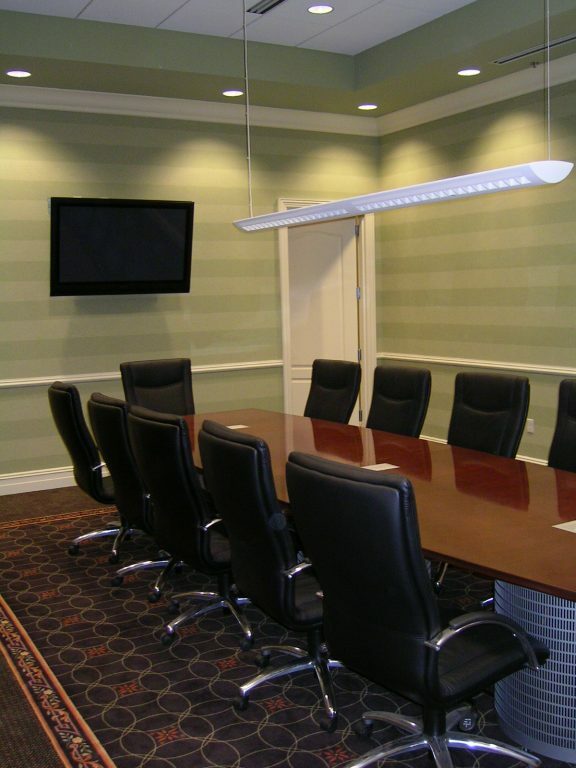 Support and administrative areas include a kitchen designed to accommodate a full guest list, storage areas and management offices. An outdoor plaza overlooking the lake behind the building provides spectacular views. The plans include a future link to another adjacent hotel.